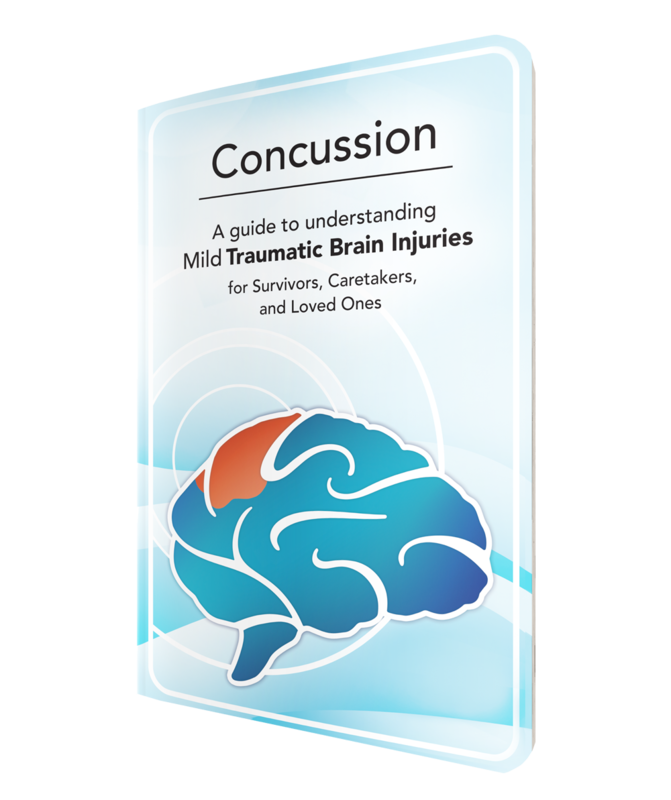 Your source for everything you need to know about traumatic brain injury and concussions. Parents who support their children recovering from post-concussion syndrome or symptoms (PCS) are in challenging circumstances. Many times parents and their injured child, are not fully supported throughout recovery. Often they are left with unanswered questions, and they are left searching and seeking resources to help them to help their child. We have asked parents of our patients, and parents of those who take care of individuals with PCS for things that would help others in their journey and this is what we gathered. The Recovery Rollercoaster We know this process can be frustrating, overwhelming, and it is a roller coaster of emotions for all involved. Throughout this process, you may experience feelings of frustration, empathy, and in some cases even heartache, hopelessness, and fear. It’s hard to watch your child suffer and feel you can’t do anything about it. When someone you love sustains a traumatic brain injury (TBI) or concussion, your whole world can change. You are launched into a world of uncertainty about the injury, recovery, and, perhaps, even who your loved one is anymore. So much can change after a TBI. Discover a new level of understanding around concussions and how these injuries impact the lives of victims and their loved ones. Journaling is one of the greatest therapeutic techniques available. Journaling is free, confidential, and convenient. It offers you the opportunity to be your own therapist. You might think journaling must be done sitting down and writing in a diary-type book. If that doesn’t sound appealing, you may be excited to learn there are numerous types of journaling. You can find a style of journaling that is fun and stress relieving at the same time. Journaling offers you a way to process something and let it go. It can be incredibly helpful after a brain injury! After a brain injury, it can feel hard to express yourself and journaling is one way that can empower you to share yourself in a creative way. Discover some of the different types of journals below. Try several. If you find one you love, stick with it. If one doesn’t necessarily click for you, don’t force yourself into it. Keep experimenting until you find one that gives you emotional expression, release, or relief. Types of Journaling Write it Out Daily life and experiences: This is the type of journal many typically think of when discussing journals. Write about your day chronologically. The entries don’t have to be exhaustive. Try writing a little bit each day. Just put a pen to paper and write for a specified length of time or for a certain number of pages. Quick journal: Write one sentence a day. One word essence journaling: Write one word to summarize the day. Question a day: Answer your own questions or be guided by prompts or predetermined topics. I loved my “Q&A a Day: 5 Years Journal” I purchased on Amazon. Meditation or transition journal: After work, before you transition to home, write out all your thoughts to assist you in letting go of the stresses of the day and transition into a more relaxed state. A Tool to Support You in Healing After you have received treatment, or are feeling better, and are no longer feeling like your concussed/traumatic brain injury (TBI) self, you may find yourself still holding back or saying the words “I can’t.” It was a traumatic injury, sometimes the recovery can feel traumatic as well. You may have had many months while healing from your TBI where you struggled with various aspects of your life, including but not limited to, calling in sick to work because of headaches, forgetting important events, not remembering a word during an important presentation, inability to run on your treadmill due to dizziness, and feeling too tired to take care of your kids. Subsequently, you learned to set limitations for yourself. For this reason, once you’re feeling like yourself again, it can be a difficult transition to the new you. Acceptance is the ultimate goal with regard to the stages of grief, your TBI or concussion, and the new you. Acceptance is accepting who you are, where you are, how you are. This is it. This is YOU. The good, the bad, and the ugly. And you are truly amazing. Struggles and all. You are a survivor. No one can do it better than you! Acceptance may mean distancing from people who don’t understand, give you ultimatums, enforce deadlines for healing, or get upset with you when you aren’t who you once were. You are worthy. You are deserving. You are brave and amazing. You are different than you were before your injury, but different can be good. Many believe the five stages of grief last weeks or months, but according to Elisabeth Kübler-Ross and David Kessler, the stages of grief are responses to feelings that can last for minutes or hours as we flip in and out of one and then another. As a reminder, we do not enter and leave each individual stage in a linear fashion. We may experience one, then another, and back again to the first one. Let each stage happen. Embrace it, learn from it, and then keep going. What is bargaining? Bargaining is a stage in the grief process that is helpful when you feel powerless over circumstances, especially after a brain injury. Bargaining is an attempt to regain control. Bargaining is frequently done with God, or a higher power, that you feel has some control over the situation. Bargaining is similar to negotiation. “I promise I’ll do this, or be this, if I can just go back in time—or have five more minutes or have one more day.” It’s interesting because you know all the bargaining in the world won’t help, but it doesn’t prevent you from trying, begging, “Please? I’ll do anything. I just want my brain back. I want me back! The way I was.” You want to go back in time—stop the accident from happening, put on protective gear, yield to that stop sign, put on your seatbelt. If only, if only, IF ONLY.